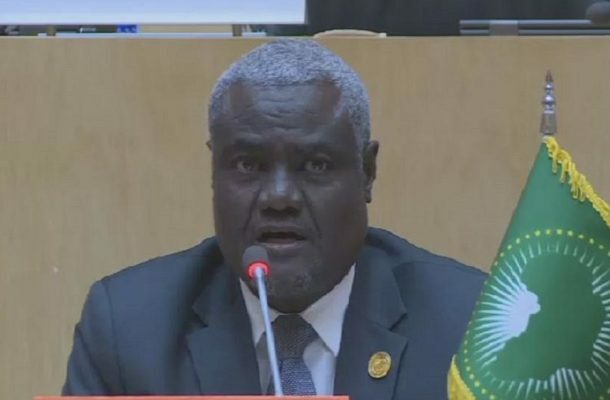 Issue like the forceful displacement of persons, peace and security were the center of deliberations among others at the 32nd African Union summit as highlighted by the African Union Commission chairperson Moussa Faki. Moussa Faki, President of the AU Commission emphasized on this year’s theme. "This year's theme as President of the Union is a humanitarian issue; internally displaced persons and discussions have focused not only on how to deal with this issue but also on how to address the root causes of such phenomena that cause regrettable situations. " Mr Faki hailed the progress on the ongoing institutional and financial reform of the Union, whereby he said steady progress is being made while accountability being improved.